In the wake of last week’s election results, a couple of my artist friends gathered together. In that moment of questioning, we decided to do what artists do. We decided to MAKE ART. We came up with the idea to create downloadable posters acknowledging a list of people we stand with who may be feeling threatened right now: Women, immigrants, muslims, LGBTQ, refugees, indigenous people, all people of color, veterans, survivors, alter-abled, the disenfranchised, and anyone feeling alone and scared right now. Later that day, we asked some of our friends to join us in this project by creating their own unique versions of the poster. The group overwhelmingly agreed, and we’ve been blown away by their beautiful creations. What does, “We Stand with You” Mean? Honestly, I don’t have any definitive answers to these questions. However, I am clear about a few things: I am resolving to become more active in my local politics. I am donating money to organizations that are working for human and environmental rights such as, the American Civil Liberty’s Union, the National Association for the Advancement of Colored People, the Standing Rock Sioux Tribe Dakota Access Pipeline Donation Fund, and the National Resources Defense Council. I will continue to empower women (and men) through the creative process. I will seek ways each day to be more kind to the people I encounter. I will use my voice when I see injustice. I will speak my truth. And I will continue making art that brings more beauty and truth into the world. I also know that if one single person who is feeling scared, alone, or marginalized right now sees one of these posters and feels more safe and loved in that moment, this project will be well worth it. If you’d like to join us in this Artists for Love movement, we would love to have you! In fact, we hope this is just the beginning of something really beautiful that will continue with more messages in the future. There are a couple of ways to participate right now. Click any of the images below to download, print at home, and post in your community. We sincerely hope they will be shared far and wide in places where lots of people will see them. Share the digital versions on your social media outlets. 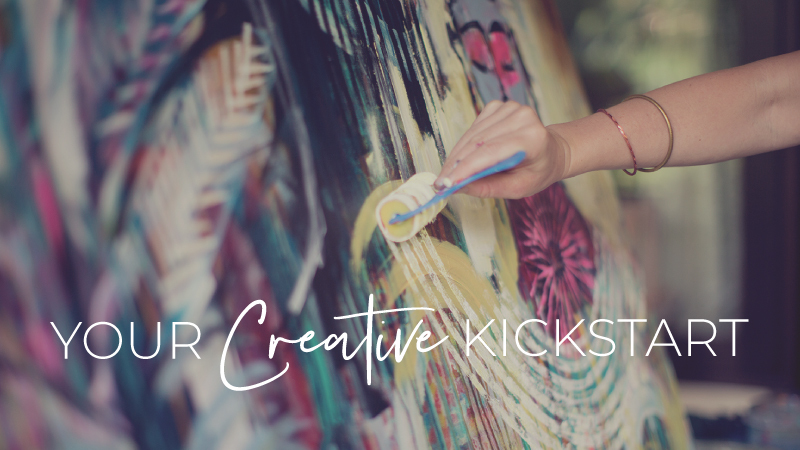 Create your own Artists For Love art to share and encourage others to do the same. Be sure to use the hashtag #artistsforlove so we can find you. I believe we all have different roles to play right now, This is such a potent time to use our voices. Please join us.